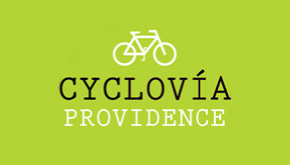 Cyclovía Providence on Broad Street – June 30, 2013 – Volunteers Needed! Volunteers are needed for the Sunday, June 30th Cyclovía being held on Broad Street between Thurbers and Prairie Avenues. Volunteers will be responsible for monitoring side streets and ensuring that drivers do not take their vehicles onto the closed roadway. Shifts are 2 hours each, from 11am to 1pm and 1pm to 3pm with water and lunch provided by Whole Foods Market. To Volunteer, please send an email to moritz@ribike.org. Cyclovía Returns to Providence this summer for 3 dates over the course of the summer. Sunday, June 30, Broad Street from Thurbers Avenue to Prairie Avenue will be closed to vehicular traffic with the street opened to people to use as a temporary bike park. Several organizations will be present with activities for the family. 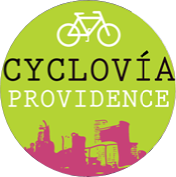 Cyclovía is a car-free event that opens Providence streets to people so that they can walk, skate, run, bicycle, exercise, and socialize. The events are free, open to the public and fun for people of all ages. The events feature farmers markets, Zumba, yoga, bicycle workshops, street vendors, and more. Sunday, September 15: Hope St. in the East Side (between Lippitt Park and Rochambeau Ave.
All events will be held from 11am to 3pm. Whole Foods will be offering free lunch to people who volunteer, as well. Sorry about that, didn’t pop out at me in reading the email version, so I thought it wasn’t there. But you pointed that out above.